Thursday, April 25, 9 a.m. to 3:30 p.m.
"What can the laity do to help address the crisis in the Church?" 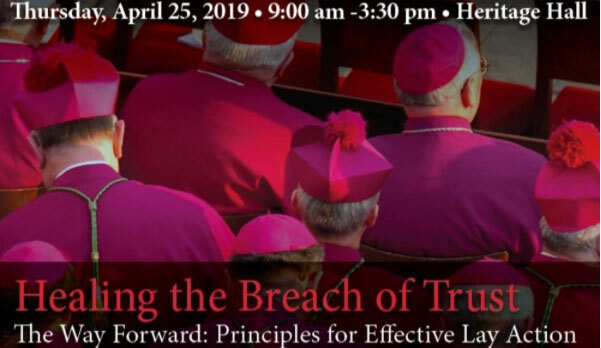 That is the question our panelists will take up in this, our fourth and final conference, in our series on "Healing the Breach of Trust." You may join us for all or any of the sessions during this FREE event.